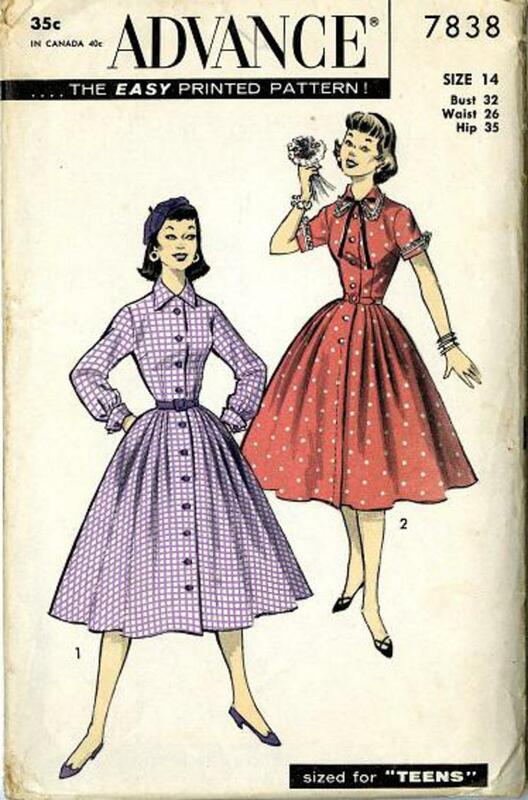 1956 Advance #7838 vintage sewing pattern. Teen-Age dress with flared full skirt, fitted button top in short or long sleeves. 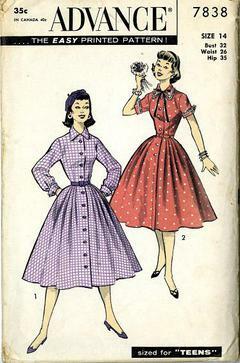 Classic shirtwaist, front-buttoned to hem, convertible collar, long set-in sleeve with French cuff. Flared four-gore skirt has soft pleats at sides, front and back, side seam pockets.